When American political scientist Francis Fukuyama predicted the “end of history” and the triumph of Western liberal democracy as the “endpoint of mankind’s ideological evolution” he scarcely could have imagined how wrong he was. In a way, we could forgive him for making such outlandish proclamations. He wrote his infamous essay at a monumental juncture in history. It appeared in The National Interest during the summer of 1989, just a few months before the Berlin Wall fell. The Cold War was winding down, but a new triumph-induced imperialism was about to take its place. The ideological battle between the United States and the Soviet Union had been ‘won’ and the West had emerged victorious. History would be written by the victors, and they had decided that from then on, it would be their way or the highway. Fukuyama’s predictions were immensely arrogant; characterized by the kind of hubris that has since led his country’s government — and the world along with it — down a dangerous path from which there seems to be no return. His declaration of Western liberal democracy as the “final form of human government” fed the arrogance of successive American governments, who long before believed they had found the way, the truth and the life. In a recent interview with US-government funded Radio Free Europe – Radio Liberty, Fukuyama argued that both “Putinism” (which was left largely undefined) and the Islamic State were engaged in separate efforts to create a political alternative to liberal democracy — and both were doomed to failure. This seemed like a bizarre effort to somehow cast the Russian state and ISIS in a similar light, however obliquely. In reality, Putin shows little interest in trying to export any particular ideology beyond Russia’s borders. He does however, promote the idea that “to succeed in the world, one does not have to move in lockstep with the Western model of development,” as one American expert recently wrote. 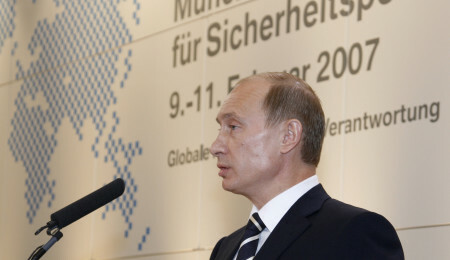 Experts have argued over how to fairly characterize Putin’s tenure as Russia’s president. Some have been kinder than others. While many Western analysts are eager to dramatically label the president an authoritarian dictator, others believe that the system over which Putin presides demonstrates features of both democracy and authoritarianism. While some call Putin a ‘ruthless kleptocrat’, others have noted that the evidence for such claims is often “circumstantial, conjectural and partial” and “would not stand questioning in court”. The best way, therefore, to assess Fukuyama’s recent comments is not to attempt to dissect this so-called Putinism and conclude that Fukuyama is ‘right’ — but to look at Western liberal democracy, warts and all, and conclude that he is wrong. Ironically, the first place we ought to look is Fukuyama’s own work. In an essay published in Foreign Affairs in 2012, he asks: can liberal democracy survive the decline of the middle class? As he first doubles down on his original thesis, it quickly becomes clear just how much of an idealist he really is. He uses an ‘ideal’ to delegitimize any other alternative that might be proposed. He does however admit, that some “very troubling” economic and social trends could “threaten the stability” of liberal democracies and “dethrone” the entire ideology. He speaks of these trends as though they were mere anomalies, entirely divorced from the pure and righteous form of liberal capitalist democracy, rather than created by it. He worries that median incomes in the US have been stagnating in real terms since the 1970s and that Americans are increasingly unable to afford their own homes, health insurance or build comfortable pensions for their retirements. The trend towards a “dangerous” form of redistribution, whereby mortgages are subsidized for low-income households has given Americans the “illusion” that their standards of living were rising. In this respect, he writes, the bursting of the housing bubble in 2008 was “nothing more than a cruel reversion to the mean”. Another troubling trend, he writes, is that the benefits of technological innovation have gone to the most talented, well-educated and well-off members of society, spurring massive growth in inequality. We are constantly told that Russia may bear some of the ‘trappings’ of democracy, but that in reality, the influence and riches are reserved for the few. We hear it less often about our own democracies. Take for example, the fact that it requires a whole host of billionaire friends to win the American presidency. In 2012, Barack Obama spent just shy of $1 billion to win his second term as president. Is it any surprise then, that Russians balk at America’s eagerness to impart lessons in democracy? Participation in the American political process has been on a steady decline for decades. Voter turnout for the 2014 midterm elections was the lowest since the Second World War, standing at a truly embarrassing 36.4 percent. Presidential candidate Bernie Sanders called it an “international disgrace” and asked what has become of a “democracy” in which more than 60 percent of people don’t vote? The super-rich must not be able to turn American democracy into an oligarchy, he warned. But it may be too late. In 2014, a study conducted by professors from Princeton University and Northwestern University concluded that the US was already an oligarchy, not a democracy — and that the government was ruled by the rich and powerful, failing to serve the interests of the majority of its citizens. After studying nearly 1,800 policies enacted between 1981 and 2002, the professors concluded that economic elites have “substantial impacts” on US government policy, while mass-based interest groups and average citizens have “little or no independent influence”. This does not sound like a country that should be lecturing the world on moral values and the meaning of democracy. Nor does it sound very much like a system that represents the “endpoint” of man’s ideological evolution. 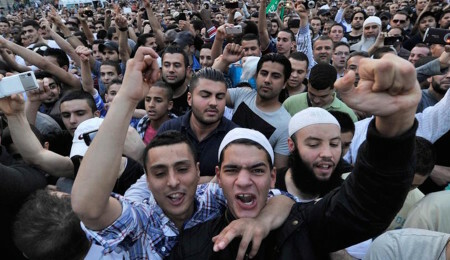 In Europe, no one seems all that happy with the status-quo, either. Britain may opt for a ‘Brexit’ and leave the EU. From Poland to Spain, citizens have been electing governments that aren’t what Washington ordered. Greece remains in crisis. Germany and France are facing increasing social disruption — both from the influx of refugees and from far right and far left groups. Is this what happens when populations start to feel that their European Project is beginning to look like nothing more than the political offshoot of NATO — not there to serve their own needs, but the needs of those across an ocean? But back to Russia. One of the problems when we compare Russia to the West, is that the West holds Russia to standards which it does not similarly apply to itself. The goal is to shame Russia into compliance with Western norms in every sphere. Former US Ambassador to the Soviet Union, Jack Matlock noted in 2011, that many academic and media commentators also hold Russia to these unrealistic standards and that it comes off looking hypocritical. “When we begin to talk about democracy, we seem to make it clear that what we have in mind is simply serving American interests,” he said. 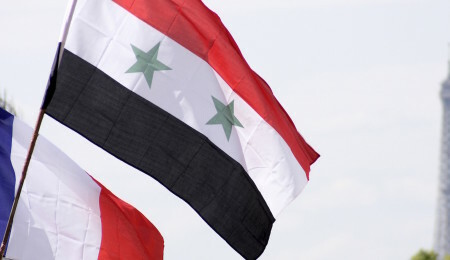 In a critique of Fukuyama’s essay twenty-five years on, Guardian columnist Eliane Glaser wrote that his work helped to “conceal and naturalise” the dominance of the neo-con right and to “erase the rationale for debate”. This is fully consistent with the ongoing Western mission to remold the world in its image — a mission for whose proponents Russia is the Holy Grail. When it comes to his analysis of Russia, Fukuyama is hampered by a strictly American point of view, resulting in simplistic arguments. In a 2014 update to his 1989 essay, he simply labelled Russia a “menacing” regime “fuelled by petrodollars”. Like many other commentators, he has made the mistake of reducing Russia to an oil field, where every action of the government, at home and abroad, can be attributed to an “authoritarianism” which he fails to define. 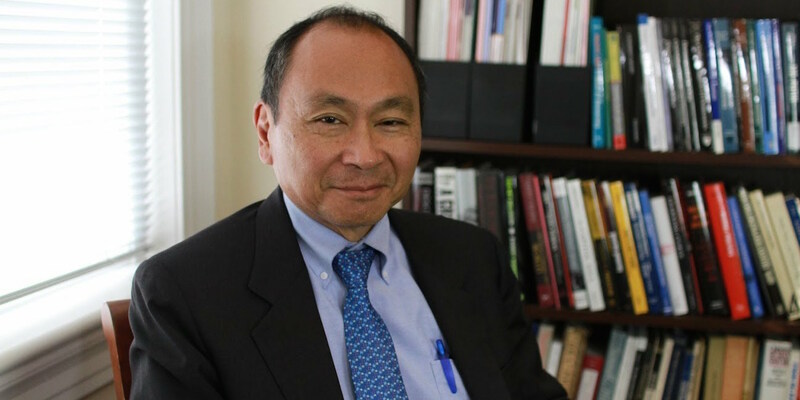 As a graduate student in the 1970s Fukuyama interned for former US Deputy Secretary of Defense Paul Wolfowitz, but defected from the neo-conservative ranks after the Bush administration’s invasion of Iraq. Fukuyama himself has at times even traced Iraq to the triumphalism that followed the fall of the Soviet Union and has delivered scathing criticisms of how the US acted after the September 11 attacks. In that sense, he is not your typical proponent of American exceptionalism, but his views, however muddled they at times may seem, are hardly any less problematic. Over the years, Fukuyama has admitted on occasion that he saw some things less clearly in 1989 than he does today — but ultimately, he has doggedly refused to accept he has been proven wrong and has tried instead to twist today’s reality to suit his decades-old arguments. This time Russia was less a target than it was another distraction. History has in fact moved so quickly that Fukuyama is struggling to keep up. Previous PostWhy Did Italy Request a Review of Anti-Russia Sanctions?